Click the cover to download the full plan (PDF). Greater Portland Global, a global trade and investment plan, draws on the region’s work in the Global Cities Initiative, a joint project of the Brookings Institution and JPMorgan Chase, to integrate exports and foreign direct investment (FDI) into one strategic plan that replaces the Greater Portland Export Initiative and escalates global engagement to realize a stronger regional economy. 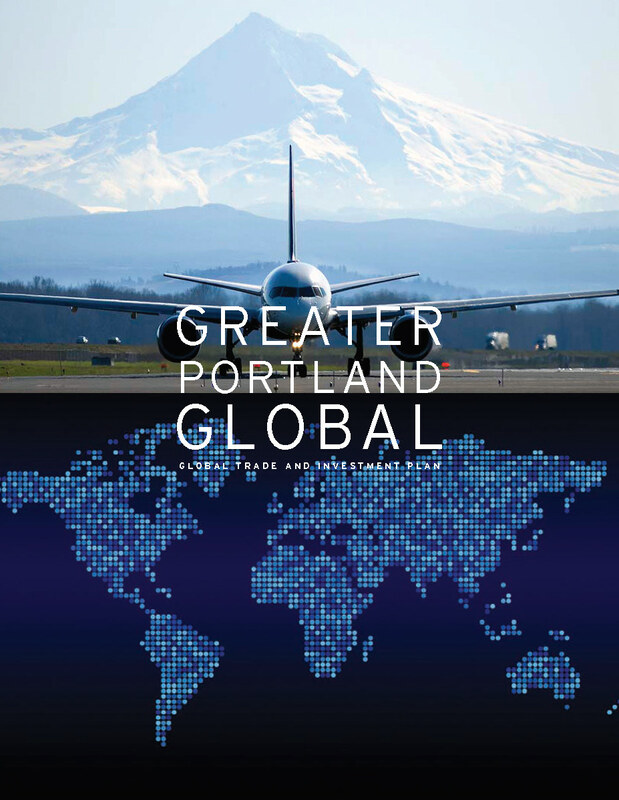 Greater Portland Global will focus its efforts on Canada, Germany and Japan – all strong trade and investment partners of the United States and Oregon. Increased access to global markets and foreign investment is the most direct path for Greater Portland to create and maintain a sufficient number of quality jobs to support the region’s growing population. The fifty-year history of Nike, headquartered in the Beaverton area, perfectly illustrates how a lightning strike of innovation can spark a cluster rich with talent and technology that drives investment to a region and furthers innovation through spin-off clusters.